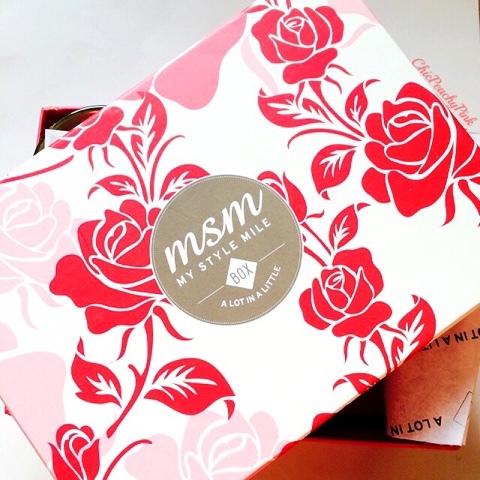 For my friends who aren't aware of MSM Box, its a subscription box service for women. They have two variants of monthly subscriptions MSM Select box and MSM Express box. There is a charge of Rs. 495/- per month for the MSM Express box and a charge of Rs. 995/- per month for the MSM Select Box. Excluding this they have lately introducted a MSM Diva Box that consists of only makeup products for all the makeup lovers, it retails at Rs. 1995/-. There is a grooming and fashion subscription box even for men called MSM Bulldawg which retails at Rs. 1595/-. Each month they have a unique theme and the boxes are curated as per the theme. 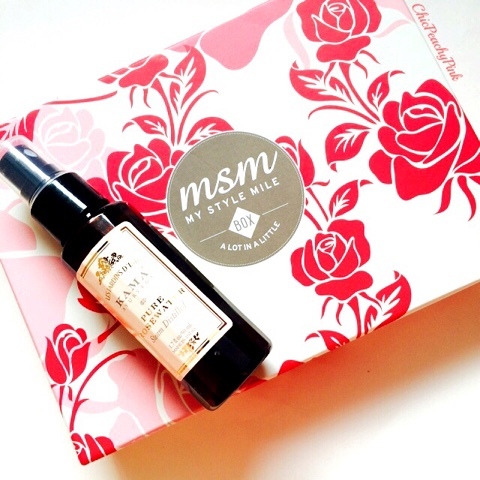 This month's its an Anniversary Edition Box or Rose Box. The first aspect that really impressed me about this product was that it was made of beeswax. It glides on like a dream on the lips. It has a light texture but is also very nourishing. Also the rose scent is like an icing on the cake. A fun fact, it is handcrafted and made with natural ingredients. 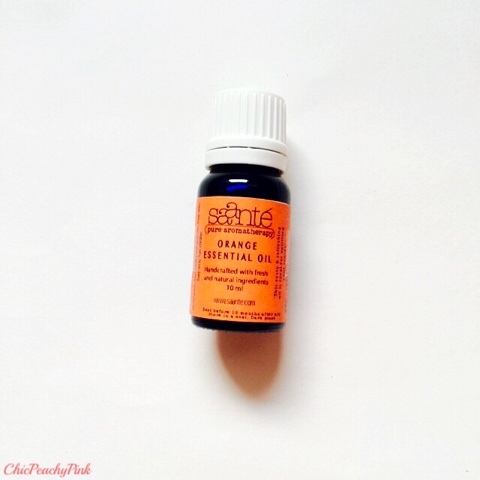 Though I may have not shared it with you yet but I love using essential oils on my detox days. I prefer to use 5-6 drops of it in my bath as this helps me relax specially when I have had a long week. This one in particular has a pleasant and calming citrusy scent which is very refreshing from all the floral ones I usually opt for. It wasn't until recently that I used Kama Ayurveda Tulsi soap that my liking towards soaps grew strongly. The Natural Rose and Almond bath bar is an all natural handmade soap which has the goodness of Coconut Oil, Shea Butter, Olive Oil, Sweet Almond Oil, Rose Oil, Rose Petals and Walnut Grits in it. The lovely rose scent lingers on for a long time post shower as well. This scrub reminded of the Skin Yoga scrubs that I have used and loved in the past.You can use this scrub everyday as it doesn't have any chemicals in it and is very gentle on your skin. 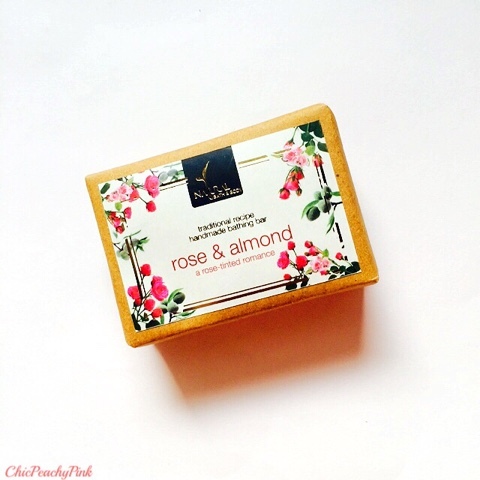 Since its made of natural products its paraben free and even suitable for sensitive skin. When I received the box the candle was wrapped to avoid any damage yet I could still catch a whiff from underneath all those layers of wrapping. The strong floral notes combined with woody notes makes it very unique. It is a handcrafted beeswax candle made with pure essential oils of rose and sandalwood. 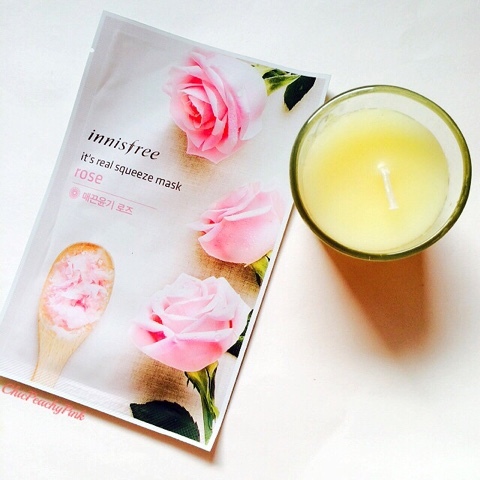 I love sheet masks but haven't tried very many from Innisfree. I have tried the It's real cucumber mask earlier and was very pleased to see the results. I have even noticed that my skin feels very even and balanced after using the mask. 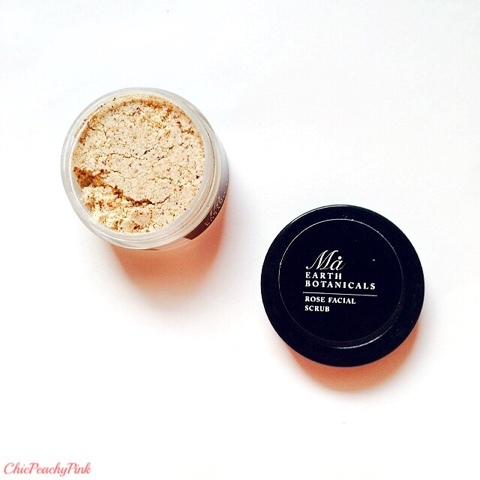 Most importantly I love that it provides your skin with that extra boost of moisture that you need at times. Hope you enjoyed reading this post. 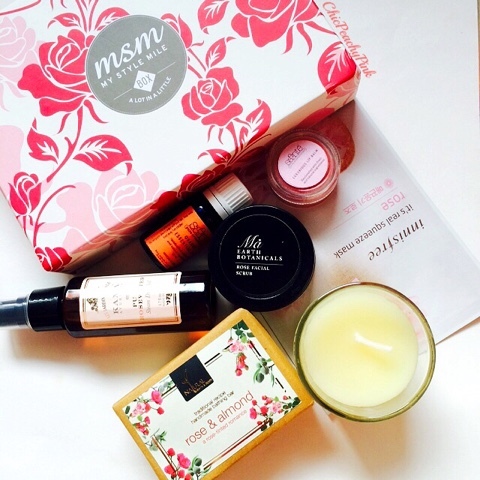 Drop in a line in the comments section and let me know what do you think of this month's MSM box? Also which are your favorite products? Great box comes with great stuff. The rose box edition is so lovely. It's an innovative thing to.include all products derived from rose. Would be waiting for the review of lip balm and Ma Earth Botanicals Rose face scrub. MSM has included many natural products. That's great!! Oh, this seems to be a pleasantly content! Oooh everything sounds lovely! 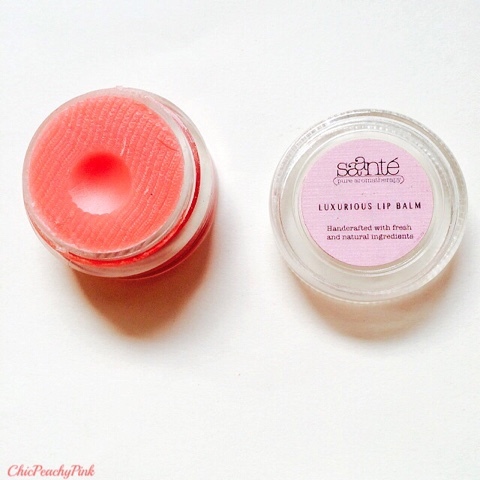 That beeswax balm especially! That was my fave product in this box its too good! omg the box is really cute :D the products are lovely too! The box looks very cute. Nice set of products.